Overwatch Halloween Terror Event Begins Today | Nerd Much? A new Overwatch leak has revealed the starting time for the upcoming Overwatch Halloween Terror event. 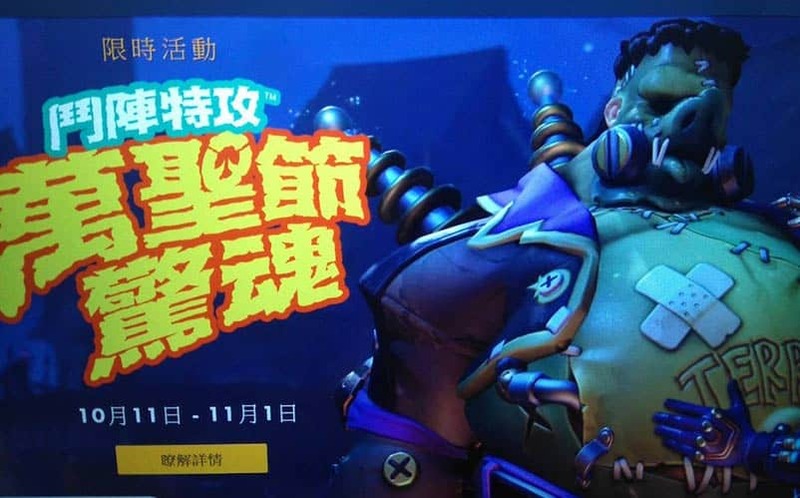 According to a leak from the Taiwanese Overwatch website (which we found via GameRant), the Halloween event will start today, October 11th, and it will last through November 1st. What’s more, a patch is rumored to hit PC at 2PM EST/11AM PT — it looks like we’ll have our hands on the Halloween content in a matter of a few hours. This means players will have slightly more than a two week window to bring in some of the “more than 100 Halloween items” that will come in the Overwatch Halloween Loot Boxes, including specially-designed skins, sprays, victory poses, player icons, voice lines, and new highlight intros. We haven’t seen all of the new skins just yet, but we know that Roadhog will apparently get a Frankenstein skin which will cover him in green skin and give him electrical coils on his back, and Junkrat will get a Frankenstein-themed costume skin as well. Now, what we’re wondering is first, when will Blizzard make the official announcement, and secondly, will the new Halloween event have its own unique game mode, as was the case with the Olympic Event which had LucioBall. It’s only a matter of time at this point, but we’ll update this story as we get more Halloween Terror Event details. For now, we recommend keeping your Blizzard client open for the day so that you’ll be ready to play right away.